This is my sister’s Ibizan hound, Guildenstern, in wallet-sized format. 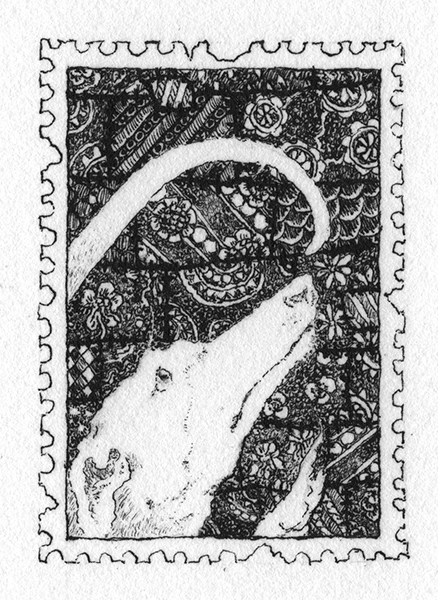 Guildenstern is not for sale, but if you’d like your own stamp-sized pet portrait, please write to me at socar [at] gorblimey.com. Please note that the zoomed-in image, below, is much larger than life size. 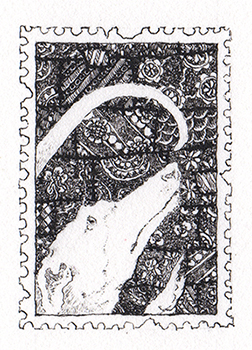 The actual drawing is 1″ x 1.5″.